Best Novel is by far the strongest of this year's Hugo Award fiction categories, because only two of the nominees are Sad/Rabid Puppy choices (the Butcher and Anderson books), and it seems to me those two were chosen because a number of the Puppies actually like the authors' work, not merely because the author is friends with Brad or published by Vox, which is refreshing. That said, they're still not legitimate nominees and I'm still making liberal use of the No Award option. But all of the nominees in this category are at least written at a professional standard, and two are certainly Hugo-worthy. The last two choices fell to the bottom simply because I found them rather dull. I could only fight my way 200 pages into The Goblin Emperor, because Monette never gave me a sense of what was at stake. 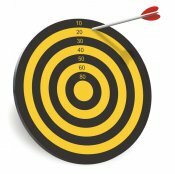 I never felt any sense of urgency, as the protagonist made a series of choices that as far as I could tell were entirely trivial and unimportant. I similarly found it difficult to get into The Dark Between the Stars, partly because it picks up where Anderson's last multi-volume space opera left off, so there was a lot of catching up to do. But I think my trouble with it goes deeper than that. I was once lucky enough to have a great author critique one of my stories. He suggested I rewrite a scene where the main characters had a conversation while driving through an alien city. He told me there's nothing interesting about driving in a car, and I shouldn't make my readers see the city through a piece of glass. In The Dark Between the Stars, I persistently felt like there was a piece of glass between me and the best parts of the story. For example, early on we meet a viewpoint character who has abducted his own son and left his wife, because she refused to believe him about an imminent danger to their home. This would be a terrible, heartbreaking choice, but for some reason it all happens offstage and we only hear about it later, as the guy is staring into space twiddling his thumbs. I rate Skin Game ahead of The Dark Between the Stars and The Goblin Emperor because Jim Butcher's storytelling has more immediacy to it, and so I found it easier to read. And yet I don't much care to see the Hugo Award go to the umpteenth book in a series, addressing story elements that this author has covered ten times before and other authors have covered a thousand times. The two nominees that I find Hugo-worthy are The Three-Body Problem by Cixin Liu and Ancillary Sword by Ann Leckie. Both of these novels are well-written and thought-provoking and original. One could make a case for either. I have a slight preference for The Three-Body Problem, especially since Ann Leckie already won a Hugo Award last year for Ancillary Justice, which introduced many of the same concepts that make Ancillary Sword so interesting. I urge you to vote for Liu or Leckie for Best Novel, and perhaps we can end the Hugo Award ceremony on a high note after stepping through all the Puppies' messes in the previous categories. Like the short story category, the Hugo nominees for Best Novella were all stuffed onto the ballot by the Sad/Rabid Puppies. I urge you to vote No Award in the novella category so as not to reward bloc voting for a slate, and because none of the nominated stories is Hugo-worthy. Starting from the bottom, "Flow" is yet another novel excerpt appearing here thanks to Puppies who didn't care to take the time to find five actual novellas to stuff onto the ballot. The piece is part of an ongoing serialized story, with no beginning, no ending, no point. Events happen and characters pop up for no apparent reason, because the pay-off will be in a forthcoming section. If you think Arlan Andrews is an underrated writer (which I don't dispute), it does him a great disservice to push this obviously inappropriate story fragment onto the Hugo ballot. And of course, it's insulting to anyone who published an actual novella last year. This brings us to the John C. Wright show. The Puppies have struck a blow for diversity on the Hugo ballot by jamming three novellas by the same author (all published by the contemptible Vox Day) into the same category. Luckily, they don't all read the same. "One Bright Star to Guide Them" is Wright at his most annoying. The story's characters are adults who took part in a Narnia-style adventure as children. I loved stories like that as a kid, didn't you? But as far as I can gather from this narrative, Wright has nothing but contempt for such tales. Certainly this piece has none of the sense of fun and adventure one expects in a YA-style fantasy. "The Plural of Helen of Troy" is Wright at his most sloppy. The voice changes jarringly, as the narrator forgets whether he's a poet or a Depression-era private eye, and the narration is filled with nonsensical lines like how a character "looked young for his age, which I pegged somewhere between forty-five and fifty." The story is peopled with historical figures, and these little mistakes kept me from believing in any of them — e.g., do not invoke Marilyn Monroe singing Happy Birthday to Jack Kennedy, and then speak without irony of how well she hits the high notes. "Pale Realms of Shade" is Wright at nearly his most tedious (it doesn't quite reach the standard of "Parliament of Beasts and Birds"), as what starts out as an amusing story of a ghost who's kind of a jerk turns into a dry theological piece about a jerk seeking redemption from the Lord. John C. Wright has written good work in his career, and has received legitimate nominations for major awards, including a Best Novel nomination for the Nebula. Hopefully everyone understands the Puppies are a joke, so they don't hold this year's sham nominations against him in evaluating his career. Meanwhile, the Ratha's secondary armament, a 75mm KE cannon, electrically driven and coaxially mounted, plus two similarly mounted 15mm Gauss Guns, the twin gatlings in the bow, the three on the cupolae atop her turret, and the top deck-mounted AP/AF guns, kept busy, whirring out a nearly continuous stream of smaller, hypersonic projectiles, eviscerating Slugs and blasting their sleds into wicked, black clouds of fragmented metal. I can't support giving this one a Hugo, for fear that some unsuspecting reader looking for award-worthy fiction might stumble upon this nearly continuous stream of pseudomilitary jargon, eviscerating their eyes and blasting their minds into wicked, gray clouds of fragmented brain. But I'm glad somebody's still writing this stuff, in case one day we all simultaneously lose our copies of Hammer's Slammers. I'm voting No Award in this category because none of the nominees was nominated legitimately. But even if I were inclined to overlook that and vote on the stories' merits, the only one that comes anywhere close to award-caliber is the Kratman story. But it's pretty hard to muster enthusiasm for an author who has publicly proclaimed, "I want the Hugos utterly destroyed." If you take SF/F seriously, there's not really any alternative to No Award for novella. Yesterday I (Aaron) went through this year's Hugo nominees for Best Short Story, all of which were stuffed onto the ballot by the Sad/Rabid Puppies, and recommended voting No Award in that category. Today we look at the nominees for Best Novelette. In this category, there is a single well-written nominee to which I could justify giving an award, "The Day the World Turned Upside Down." By an odd coincidence, it's the only nominee we've looked at so far that was not a Puppy choice. I urge you to vote for "The Day the World Turned Upside Down" and to rank No Award above everything else in this category, because they're not legitimate nominees and because they're not Hugo-worthy. The people selecting the Puppies' Hugo slate was an exceedingly small group, perhaps no more than Brad Torgersen and Vox Day. (Puppy supporters like to tell a tale about the nominees being chosen democratically, distilled from a recommendations thread on Brad's blog. Here's the thread. You will not find a single one of the Puppy nominees for novelette mentioned anywhere on the thread. One of the short story nominees is mentioned, but only by the story's author.) I've concluded that they were not sincerely looking for the best stories they could find, but rather used bloc voting for a slate as an unethical means of getting their friends on the Hugo ballot, regardless of the quality of the nominated work. "Championship B'tok" is a case in point. This story picks up right where the previous section (printed in Analog as "The Matthews Conundrum") left off, and the first part of the story hastily catches readers up on the story so far. Then "Championship B'tok" ends right in the middle of the tale — the editors might as well have printed "To Be Continued" at the bottom of the page. The narrative doesn't do much for me, but even if you really enjoy it, it's only part of the story. There's no real beginning, no ending, no resolution; the whole thing exists to be plugged into a larger story that will be published as a novel sometime. What a slap in the face to everyone who published an actual novelette last year, to suggest that this fragment is more deserving of Hugo consideration than their complete stories. "Ashes to Ashes, Dust to Dust, Earth to Alluvium" is at least a complete story. But I find the writing awkward and the characters lacking in any personality, other than telling each other bad puns. I don't think this story reflects the best work of Gray Rinehart or the best of the work published in InterGalactic Medicine Show last year (which I'll disclose included a story of mine), and it certainly does not rank with the best novelettes to appear in the field in 2014. "The Journeyman: In the Stone House" is another novel excerpt (as suggested by the colon). It was preceded by "The Journeyman: On the Short-Grass Prairie," and Flynn has already followed up with "The Journeyman: Against the Green," which appeared in the very next issue of Analog after "In the Stone House." I rather like the writing of "In the Stone House," but the story does not stand alone — nothing is resolved at the end — and this section is rather short on SFnal elements. Flynn's appearance here is also puzzling given the Puppies' stated intention of nominating works that would not have been considered by the damlibruls running SF fandom, since Flynn has previously been nominated for the Hugo Award six times. "The Triple Sun: A Golden Age Tale" is written in an amusing style. But the absurdities in the plot pile up so fast — did the researchers posted on this planet for the last thirty years ever do any work at all? — that it's difficult to tell if the story is even meant to be taken seriously, or if it's intended as a parody of the kind of Golden Age tale the Puppies hold in esteem. Which brings us to Thomas Olde Heuvelt's "The Day the World Turned Upside Down," the only nominee in this category not selected by the Puppies and, wouldn't you know it, the only one that actually reads like an award nominee. There are two things you have to allow the story to enjoy it: first, that it's a surrealist piece, not aiming for believability; second, that the protagonist is obsessive, not meant as any kind of role model. (The Puppies generally say they don't care for such complexities, even though works by the authors they claim to admire, like Heinlein, are chock full of them.) But then, neither is the protagonist evil. He is a person who has lost his bearings, and cannot get the world to make sense in his mind anymore. This is a feeling most of us have had at one time or another, but the story takes those feelings and externalizes them. It's nicely done and makes for fascinating reading, even if the author carries the metaphor a bit longer than he needed to. I'm not sure "The Day the World Turned Upside Down" is a great story, but it's at least very good. Plus, it has something going for it that nothing else in this category has: it appears here because a lot of people independently read it and enjoyed it and decided to nominate it, y'know, the way the Hugos are supposed to work. Hugo votes are due July 31. I (Aaron) have already expressed my contempt here for how the Sad Puppies and Rabid Puppies used bloc voting for a slate to game the Hugo nomination process and nullify the preferences of the majority of Hugo voters. In my view, the Puppy nominees are not legitimate nominees, and I will not vote for them for that reason alone. Others disagree and say we should vote for any deserving nominees, regardless of how they got on the ballot. In all of the fiction categories, the question is academic, since none of the Puppy choices are deserving nominees. In the short story category, each of the nominees was a Puppy choice, resulting in surely the weakest Hugo ballot ever for short story. I urge you to vote "No Award" for Best Short Story, because we should try to discourage the Puppies and other potential voting blocs from attempting this kind of ballot-stuffing again, and because none of these stories deserves a Hugo Award. Starting from the bottom, John C. Wright is perhaps the most accomplished author in this group. But "The Parliament of Beasts and Birds" is not science fiction, not fantasy, not even really a story. It is a biblical parable, the sole purpose of which is to analyze the story of creation in the Book of Genesis. It might make for a fine discussion in a Bible study group, but it has no business on the Hugo ballot. It also renders laughable the Sad Puppies' complaints about message-oriented fiction on prior Hugo ballots. "The Parliament of Beasts and Birds" is nothing but message, every bit as heavy-handed as last year's "If You Were a Dinoaur, My Love" (a story with which the Puppies are strangely obsessed), but without that story's artistry or emotional impact. "Turncoat" involves AI spaceships crewed by post-humans and a couple perfunctory laser battles, so I suppose you could squint and say it's the kind of old-fashioned space opera the Puppies claim to favor. But the writing is so awkward and the plot so simple and tired, the story is impossible to take seriously. It's possible this story could have found a home in Astounding magazine in the 1950s, but it would not have stood out, and it certainly would not have been nominated for a major award. "On a Spiritual Plain" has a pseudoscientific premise — the strong magnetic field of an alien planet has the effect of trapping the souls of the dead — that could have been used to tell a moving story. It would be heartbreaking to learn that the soul of a person you care about has been denied a peaceful release. But this story features no such person. There is nobody here who cares for each other and nobody for us to care about, since the story features zero characterization. The person whose soul gets trapped is described simply as "an average Service 'grunt,' just another face under the dome." The apparently deliberate lack of characterization prevents the trip to release this fellow's soul from having any poignancy. As far as I'm aware, "A Single Samurai" was Steven Diamond's first professional sale, and it reads like it: awkward writing (a crossing is "treacherous, but of no great challenge"), internal contradictions ("I feel no pain. I do not just ignore it, for that implies a recognition that it was there to begin with." Later: "The pain was the worst I had ever felt previously. It was a pain that, even as a samurai, I was unable to ignore. "), POV errors (the protagonist is climbing the back of a mountain-sized beast, yet he can look it in the eye), etc. Yet I rate it as the second-best of this group of nominees, because at least it tells a story. There's a beginning, middle, and end, and at the end the protagonist does something meaningful. This is not the standard I should have to apply in rating Hugo Award nominees. "Totaled" by Kary English is the only story in this category that is well-written, on a sentence-by-sentence level. The prose is effective and there is an actual character for us to care about. I suspect this story will win the Hugo Award, which will be preferable to any of the others winning, but still a shame. English has real ability, and may well write a Hugo-caliber story (or several) in the next few years. But "Totaled," a deeply flawed story, isn't it. The problems with "Totaled" begin on the very fist page. Our narrator was grievously injured in a car crash, and now she is a disembodied brain. On the first page, she describes the accident. She says her sons were in the car, but they're fine; however, she was totaled. Ask yourself, How could she possibly know her sons are fine? She was effectively killed in the accident, and she hasn't yet learned to communicate as a brain. She couldn't know that. This is a rookie mistake by Kary English: reassuring her own protagonist that the boys are fine to go easy on her. But writing fiction is all about being cruel to your characters, not nice. English should have let her character agonize about her boys through the first section of the story. This mistake threw me out of the story at the outset of "Totaled," and I could never get back in, because the story is missing something. The main character never changes, she never realizes anything meaningful, she never accomplishes anything important. (She helps someone get a project done at work, but if that's vitally important, the story fails to tell us so.) There's no urgency, no significance to her extra time as a brain. She could have died on the first page and nothing would be different. So despite Kary English's nice writing style, I have to rate this story a miss. Having read all these pieces, it's impossible to take any of the Puppies' complaints about past Hugo nominations seriously. The Puppies say they like action-oriented adventures, but there's little such to be found on this list; most of these pieces are quite slow and dry. The Puppies express disdain for message fiction, but there's plenty of that here. The only thing distinguishing this list from past Hugo nominees is the poor writing. A random sample of stories from, say, last year's issues of Asimov's or F&SF or Lightspeed would be far superior to this group of nominees. I do not believe this list of nominees represents a good faith effort by anyone to identify the best SF/F short stories published last year. Rather, this is a list assembled by two or three people who used a group of gullible followers to hijack the Hugo nominating system to throw award nominations to some of their friends, with little regard for the quality of the work being nominated. This ballot is a sham. No Hugo Award should be presented for Best Short Story this year. Our second match in the second round of Bracket Eight of the Battle of the 2012 Books features Osama by Lavie Tidhar doing battle with Beyond Here Lies Nothing by Gary McMahon. The winner will be the book I (Aaron) most want to continue reading after 50 pages. Osama: Solaris, October 2012 (published in UK by PS Publishing in 2011), 302 pages, cover art by Pedro Marques. Lavie Tidhar is an Israeli writer now living in London. 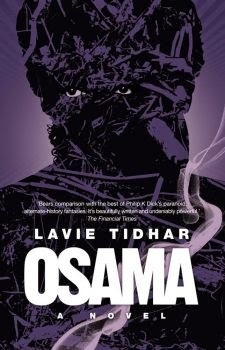 Osama won the 2012 World Fantasy Award. Osama defeated The Steam Mole by Dave Freer to advance to the second round. The setting of Osama is an alternate universe where Osama Bin Laden is the hero of a series of adventure pulp novels called Osama Bin Laden: Vigilante. Tidhar's narrative peppers in passages from those novels, which describe terrorist attacks that actually occurred in our universe. In the opening 25 pages, an enigmatic woman asks our protagonist Joe, a Western detective living in Laos, to find the author of the Osama Bin Laden books. In the second 25 pages, Joe travels to Paris, where the books are published. He asks a lady of the night about the books. She knows them, but when he seeks more information she bursts out, "They should leave Papa D alone," and promptly leaves. Beyond Here Lies Nothing: Solaris, August 2012, 352 pages, cover art by Vincent Chong. Gary McMahon is the author of a number of books, mostly horror. Beyond Here Lies Nothing is the third book in the Concrete Grove Trilogy. Beyond Here Lies Nothing defeated A Red Sun Also Rises by Mark Hodder to advance to the second round. After a prologue from a child's diary describing a bogeyman that goes "clikcety clikcety," the first 25 pages of Beyond Here Lies Nothing introduced us to Marc Price, who is researching the odd township of Concrete Grove. In the second 25 pages, Marc goes home with a strange woman named Abby, who he learns had a daughter who disappeared a few years earlier. We also meet a detective named Royle, driven to alcoholism by the unsolved disappearances in Concrete Grove. In a poignant phone call, we learn that Royle's pregnant wife has moved out until he can control his drinking. The Battle: Here are two books with solid openings, both of which I genuinely want to keep reading. Osama takes me to an intriguing universe where al Qaeda's terrorist rampage was somehow contained within the pages of a series of pulp novels. Beyond Here Lies Nothing introduces me to a memorably creepy section of London. Both books take the time for me to get to know their main characters, believable people with relatable problems. Through 50 pages, I can already say that these are both strong novels well worth checking out. But the Battle of the Books rules devised by some idiot (me) require that I choose only one of the two books to keep reading. I know which one I have to choose, for a nitpicky reason and for a significant reason. The empty play park opposite looked different, as if subtle changes had occurred. The swings rocked slowly, the roundabout turned as if it had been pushed gently by an invisible hand; the climbing frame seemed as if it were tensed for movement, like a large spider waiting to pounce. By itself, I rather like this passage. The problem is that there are a dozen other passages just like it, and for me a little of this sort of thing goes a long way. I prefer Tidhar's relative restraint, for instance pausing to describe airplane passengers as "like silkworm larvae in their soft cocoons" and then quickly moving on. Osama advances to the semifinals to take on The Diviners by Libba Bray. We begin the second round of Bracket Eight of the Battle of the 2012 Books with Your House Is on Fire, Your Children All Gone by Stefan Kiesbye against The Diviners by Libba Bray. The winner will be the book I (Aaron) most want to continue reading after 50 pages. 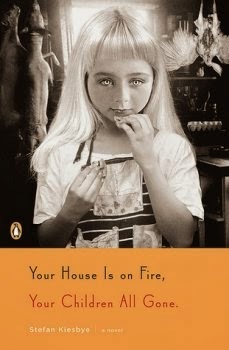 Your House Is on Fire, Your Children All Gone: Penguin Books, September 2012, 198 pages, cover photo by Simen Johan. Stefan Kiesbye is a German author now living in New Mexico. Your House Is on Fire, Your Children All Gone defeated The Age of Miracles by Karen Thompson Walker to advance to the second round. In the first 50 pages of Your House Is on Fire, Your Children All Gone, three different first-person narrators look back on tragic events from their childhood decades earlier, in the small German town of Hemmersmoor. In the opening 25 pages, Martin recalled how a new family to the village was killed after being accused (probably falsely) of cannibalism. Then Christian told us how at age seven he murdered his sister when a carnival worker instructed him to capture her soul in a glass vial. The next 25 pages consist of a long chapter narrated by Linde, daughter of the gardener for the town's wealthiest family. When that family took in a widow and her child, Linde's mother began harboring suspicions about her husband and the widow. The mother pulls strings for the widow to receive a pension that allows her to move out, with unintended consequences. The Diviners: Little Brown, September 2012, 578 pages, jacket illustration by I Love Dust. The Diviners is a young adult fantasy set in the roaring 1920's. The Diviners soundly defeated Sharkways by A. J. Kirby to advance to the second round. In the initial 25 pages of The Diviners, a malicious spirit was released into the world, and we were introduced to two young people with strange abilities, flapper Evie O'Neill from Ohio and Harlem numbers-runner Memphis Campbell. A single long chapter about Evie arriving in Manhattan comprises almost all of the next 25 pages. While in the big city, Evie will stay with her uncle, an expert on paranormal activities. She learns from him of a prophecy of a "coming storm," the only defense to which will be "diviners" who can foretell the future. The Battle: This one surprised me. While I liked the first section of The Diviners, I came to this battle expecting Your House Is on Fire to advance, because it had such a creepy and memorably unusual opening. However, the Battle of the Books format demands that authors quickly build upon a strong opening. Reading through page 50, I find it's Libba Bray who has best met that challenge. The second 25-page section of Your House Is on Fire, Your Children All Gone is certainly not bad, but neither is it as tightly written or compelling as the opening section. Linde's first viewpoint chapter is perhaps too long, and it doesn't show the young Linde to have much personality (compared to the older Linde we've already seen piss on an old friend's grave). The chapter has a tragic ending, but it comes as the unintended consequence of a kind act, which doesn't match the punch of the previous chapters. Perhaps more importantly, Linde's chapter seems little connected to the prior chapters, giving the whole book an episodic feel through 50 pages. Evie stood uncertainly for a few seconds. She stuck out her hand for a shake. With a smirk, Sam Lloyd drew her to him and kissed her hard on the mouth. She heard the shoe-shine men chuckling as she pulled away, red-faced and disoriented. Should she slap him? He deserved a slap. But was that what sophisticated Manhattan moderns did? Or did they shrug it off like an old joke they were too tired to laugh at? "You can't blame a fella for kissing the prettiest girl in New York, can you, sister?" Sam's grin was anything but apologetic. Evie brought up her knee quickly and decisively, and he dropped to the floor like a grain sack. "You can't blame a girl for her quick reflexes now, can you, pal?" While this chapter focuses on development of Evie's character, Bray also manages to pepper in enough references to the larger conflict brewing around New York that the story still feels like it's moving ahead with a purpose. 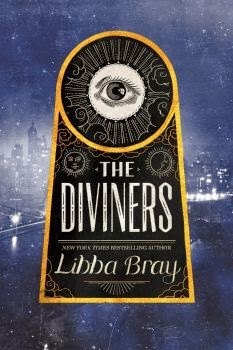 YA urban fantasy isn't necessarily my first choice in sub-genres, but so far The Diviners is too much fun to put down. 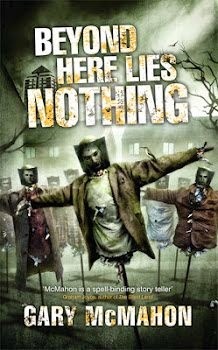 The Diviners advances to the semifinals to take on either Osama by Lavie Tidhar or Beyond Here Lies Nothing by Gary McMahon.